Equipped with a new Penske PC6 and the dominant DFX engine, Tom Sneva was not expected to struggle to retain his title. The challenge came from an unexpected direction: the partnership of Carl Haas and Jim Hall had dominated Formula 5000 and Can-Am for four seasons and, recognising the opportunity provided by the Cosworth DFX, commissioned Lola to build a new Indy car. Al Unser joined the team from Parnelli and sponsorship was secured from First National City Travelers Checks. Unser and the Lola won all three 500-mile races, an unprecedented 'triple Crown' but the car was otherwise unreliable and Sneva took the title by a narrow margin. 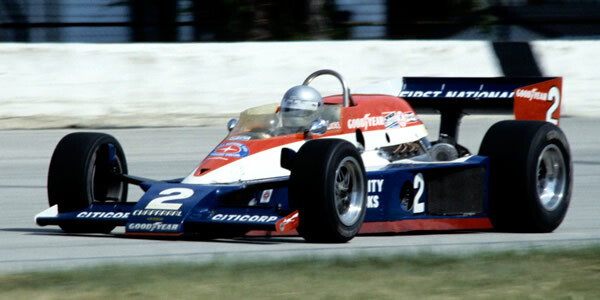 Parnelli was largely defunct but Danny Ongais drove the VPJ6B design for Interscope Racing and took eight pole positions and five wins. However, the USAC points system rewards reliability over speed and his ten retirements meant he finished down in eighth in the title race, a place behind Steve Krisiloff who never qualified his Wildcat higher than ninth and didn't win a single race. Wally Dallenbach finally left Patrick racing to drive a McLaren M24 for Jerry O'Connell. His erstwhile teammate Gordon Johncock stayed with with Patrick Racing's Wildcat-DGS cars and accrued enough solid placings to take third in the title. AJ Foyt finished fifth but realised his five-year-old Coyote design was losing out and bought a pair of Parnelli VPJ6Cs later in the year. His two wins of 1978 came in Coyotes: at Texas and impressively at Silverstone when USAC visited Britain in October that year. Last of the top runners was Rick Mears who joined Penske as a stand-in for Mario Andretti and won three races, including the race at Brands Hatch.